The Big Idea: You can help prepare children and families so everyone knows what to do in emergency. Talk with children about emergencies. Explain that an emergency is when something unexpected happens and we have to act quickly to keep everyone safe. Introduce children to the idea that neighborhood helpers like teachers, doctors, police officers, and firefighters are here to help. 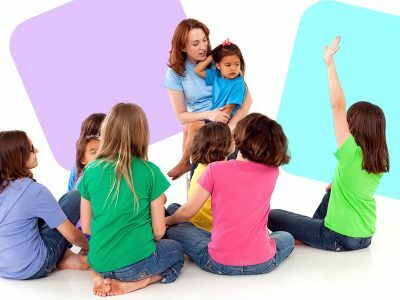 Make an emergency plan for your childcare setting. Include each child’s name, emergency contacts, and medical information. Print copies to post in your setting and take one with you any time you leave for an outing. You can print out the Sesame Street emergency plan pages. Give parents a copy of your emergency plan. Hold a “Preparing for Emergencies” family night to talk about your plan. You can also share ways that families can prepare for emergencies at home. Ask families to complete their own emergency plans and give you copies. Keep one set in your setting, and take one set anytime you leave for an outing. Create your own emergency kit. Have a backpack or bin ready to go with key supplies such as water, snacks, diapers, and wipes.